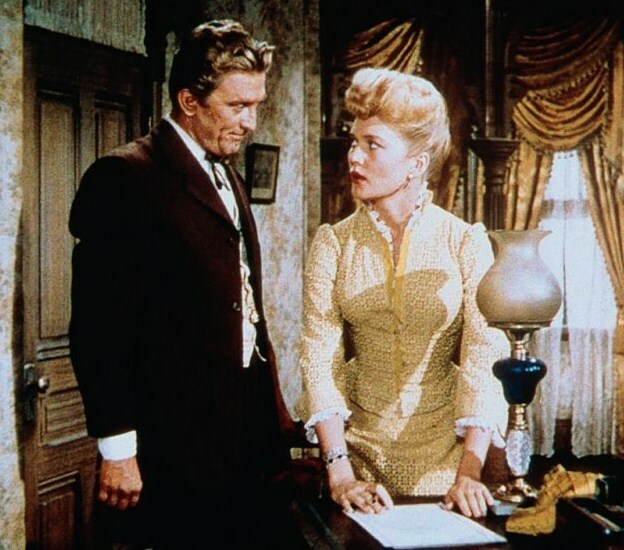 The Big Trees is a 1952 Western film starring Kirk Douglas and directed by Felix E. Feist. It was Kirk Douglas’s final film for Warner Brothers, a film he did for free in exchange for the studio agreeing to release him from his long-term contract. The film has fallen into the public domain. Douglas plays a greedy timber baron who seeks to exploit the Sequoia forest, while facing the protest of the Quaker colonists.